SEO (Search Engine Optimization) is the techniques that used to drive more traffic to the website through obtaining the high-rank in the Search Engines like Google, Bing, Yahoo and being etc. Do you know? SEO techniques are changing day by day. Therefore, you need to stay up to date with SEO techniques, to be visible to the target audience and see the peak performance of your website. If you don't have time you should take help of professional SEO Service provider As SEO is very important for your business as you can't take a chance to miss this. Hence, SEO has two techniques to improve website position in SERP first one is ON-Page and second is OFF-Page SEO Techniques. But the most important and the vital areas we need to focus on is the first one called On-Page SEO. The On-Page SEO techniques are related to all the internal elements of a website which are optimized to make your website search-engine friendly. In this article, we will focus on the Top 10 factors that you need to emphasis on while doing On-Page SEO for your website. 1.Meta Tags- there are some of the HTML keywords that don’t appear on SERP but remain in the code of your page and play a vital role in optimization of a web-page. Your Meta tags HTML code should also the targeted and appropriate keywords related to the content given on the page. Meta tags codes help SERP to know that what your page is all about and to display accordingly. You can smartly improve a website ranking by using best-targeted keywords in Meta tags. 2. Fresh and high-quality content: The more quality content you publish, the more traffic you get. However, you can see many new websites that want to get SEO results without a blog. If you only have 5 pages listing your products, you're probably not ahead of Amazon or Flip-Kart. You must regularly post articles on your blog so Google knows your website is active. It's also a great way to get new backlinks because they are shared by your users rather than your service pages. Google trusts websites that regularly publish more. Sometimes Google configures your page to see how users react and use machine learning to determine if this is helpful. If you like it, you will be better ranked. If this is not the case and your bounce rate is very high, you will fall back to lower positions. Search engines are all about the user experience nowadays. The secret to constantly developing new ideas and topics for content and blog posts is to answer questions from customers. Answering questions is also a good idea to target keywords via voice search. If you have not answered all of your customers' questions, start with them. 3 .Page Titles- it is also called Meta-title that plays a vital role in SEO techniques. First of all, you have to see whether all pages and posts of your website are having appropriate and unique titles. Apart from it, these titles should include the targeted keywords to your web-page. Meanwhile, it should look more attractive to get number clients and clicks so that number of clicks on the post you get, the higher it will rank on SERP. Along with it, Page title must contain the targeted keyword and the central idea of your interest. It is also recommended not to keep your title length more than 70 characters. 4. Responsive Website: This is part of these SEO tactics that are not easy to accomplish. Given the age of your site, a complete overhaul, or even a rebuild, may be needed from scratch. However, it is worth it because Google has recently adopted the first mobile indexing process. This means that Google rates your pages based on their users' point of view on mobile devices. You can fix everything on a CMS by simply installing a responsive template. However, depending on the installed plugins, some features may be affected. It's not really a small change, but it's really a good result. 5. Meta Descriptions- Meta descriptions help you and the searcher to visit your site easily. Basically, it is the snippet of information given below the link to the search result in SERP. It describes the purpose of your business. Therefore, an effective Meta description can bring & convince the searcher to click on your website and get the details they are looking for. 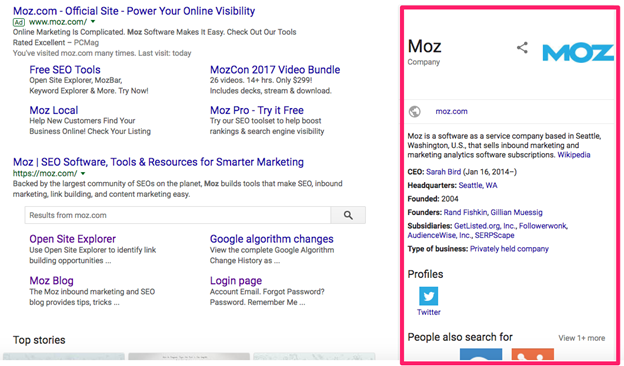 Most of the digital marketers focus on this but it may not help you to bring potential traffic, in case you don’t contain targeted and relevant keywords in Meta description. 6. Increased Speed of Site: Although images have the greatest impact, there is other things that can affect the loading speed of your website. Most of the time it’s related to files, but sometimes it can be because of PHP conflicts or database queries that take a lot of time to load. To avoid conflicts and database loading times, you can try to limit your plugin to a minimum. Do you have a lot of useless plugins and extensions? Get rid of them. You can start removing your slider plugin. People rarely click on these offers, they take up a lot of space and resources and can be annoying when you read something and the picture is automatically moved. Other measures you can do to speed up your website include a great hosting provider and minimizing the resources required to load a page. It’s very important to have a good speed website from the viewpoint of SEO because you can adversely affect you website even if you have a very short delay in the loading time. Let us have a look in the following image to see the effect of just a second’s delay in the loading time of a website. 7. Increased Page Shares: If you want to attract more visitors to your site, you must use social media to become viral. Even if users read your content and like it a lot, it may not be shared if you do not simplify the process. Add Share and Like buttons to your pages. Focus on the most relevant platforms for your website, rather than adding as many as you can. If you have a CMS, there is a plugin for you! You can also add CTAs to your content. There is a nice SEO strategy called blocked content. You can unlock it with a share. Locking the content you specified in the title is a very bad idea (bad user experience). Locking extra PDFs or tips can certainly increase the number of shares in your website. 8. URL Structure- URL Structure is one of the main factors of On-Page SEO for your website ranking. Therefore, you should use search engine friendly URLs for better results. The URL that includes targeted keywords and also well-optimized always work better as it makes brand recalling easy. • Permanent Links: there should be a unique URL for each page. • User Sitemap: it contains the structure of a website. Make sure, well-optimized URL structure can be supported every web browsers and prompts the user to click on it. Therefore, try to avoid Special characters and always consider alphabets and words. 9. Improve Existing Contents: If your sites already have content that targets a particular keyword, do not write anything else on the same topic. You will enter the cannibalization of keywords when multiple pages compete for the same keyword. Just enhance the existing article by adding new content. The easiest way to do this is to use the Cognitive SEO Content Tool. Just search for the keyword you want to target, add a title and content, and click Optimize. The tool contains a number of relevant topics and keywords that you need to add to your article for a higher rank. 10. Keyword Density- in facet the relevant keywords should be mentioned in the website content but should be limited, in case you mention more than limit the search engines would spam your website. Therefore, it is recommended to keep your keyword density up to 2% only and it should also be a mix of Latent Semantic Indexing. Meanwhile, formatting options for better use of keywords should include your targeted keywords in the first and last paragraph also in the conclusion of the content. If you want to highlight, underline or put the keywords in italics that is nice to make them index well. 11. Structured Data: Structured Data is the Data you add to your website to make it easy for search engines to understand. Search Engines like Google works hard to understand the content of a page but using a structured data you can help Google to understand what your page is actually about, by providing some important clues of the meaning of the page. Structured Data is a standard way of providing information of a page and to classify the page content into parts, for instance on a PPC page meaning of PPC, importance of using PPC and Benefits etc. 12. Image SEO- Images play an important role to take the visitors attention. Your website traffic can be improved effectively with the visual appeal of the content. Although, to optimize images for SEO there should be an appropriate Description and Alt Text with images. Inserting images with proper Alt Text & description are considered the same way like page titles. Hence, large images slow down your web-page speed so you always should use compressed images to increase user engagement on your webpage. 13. Internal Linking- it is one of the best techniques of SEO as with the help internal linking you can drive traffic directly the website and pages. 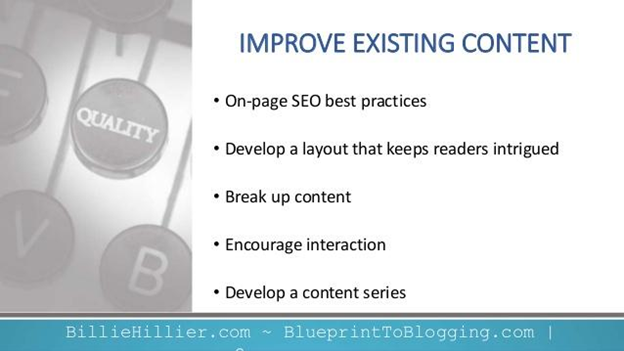 Internal linking in blog posts can link the readers to other posts of your content or article. Hence, you should always keep the anchor text as a keyword while interlinking. With the help of internal linking, your website ranking would effectively improve. Because through interlinking SERP finds your content a useful piece of information. Therefore it is the best way to improve your SEO is by doing relevant interlinking in your website content. 14. External Linking- For External Linking, other websites should be relevant to your website content and information provided by you. However, you should do external linking to the trusted websites otherwise it may not result well. With this SEO technique you can increase your site ranking higher on SERP. Make sure to stay away from less or non-trustworthy sites, because it doesn’t allow SERP bots to follow that link. And, if the external link you are providing is trusted then you can use dofollow links to get better results. Always go ahead with the sites start from https: URL. 15. Schema Markup: Schema Markup is a code that you use for your website to help the search engines to return more informative results for users. Schema tells the search engines what the data actually means not just what it says. See the Example below, it is a local business having schema markup on its event schedule page. That helps it showing in the following manner on SERPs. The schema markup told the Search Engines to display a schedule of upcoming events of the Hotel, that could seem extremely helpful for the user. 16. Heading Tags- The website content should be in small paragraphs and should be divided into different sections. Apart from it, these headings Tags are also called as H1, H2 and H3 etc. that helps to rank your web pages higher on SERP. With the help of the heading tags, people can easily read when information is presented in the form of short sections of the content. 17. Word Count per Post- Make sure that the posts shouldn’t be too short if you want your website content to perform well on SERP. A general information based blog or articles should be at least minimum 600 words. Meanwhile, you should write quality and unique content and informative for the audience. Most importantly, the content should be relevant and must have targeted keywords. Therefore, if you are looking for the best SEO expert in Delhi-India, you have come to the right place. We can optimize your site with all of given top 10 On-Page SEO techniques and provide higher rank on Search Engine. get in touch with our experts for free consultation.